Mandy Payne working at Stone Tree Press. 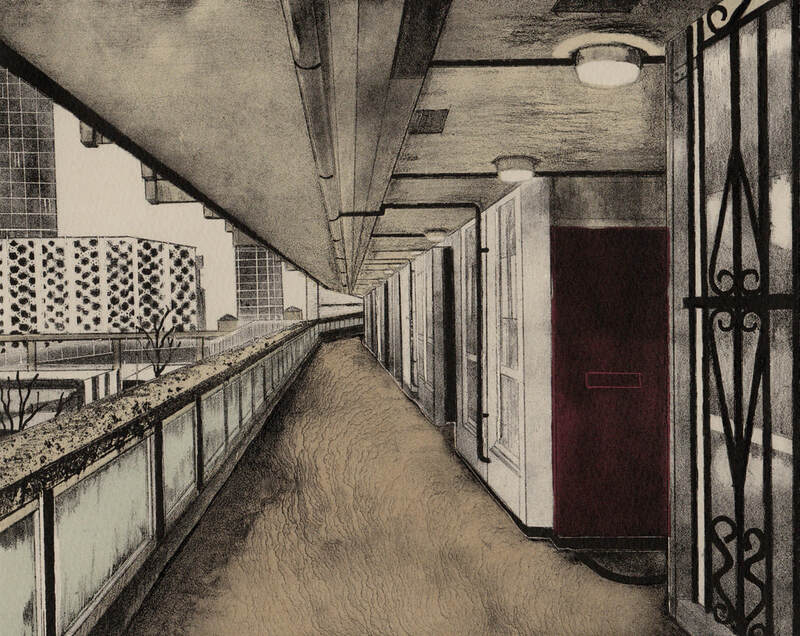 Mandy Payne is a painter and printmaker based in Sheffield. Stone Tree Press collaborated with Mandy in 2018, created one lithography edition. Mandy Payne is inspired by urban landscape and interested in issues of gentrification, social housing, regeneration and the flux of city environments. Fascinated by the spaces people inhabit, the traces they leave, she is drawn to locations that are often overlooked or derided. Four colour lithograph on Somerset Newsprint Grey and monotype added by the artist.